Kirstie Alley spoke about the Las Vegas shooter Stephen Paddock, who killed at least 58 people and injured more than 500 others at the Route 91 Harvest Festival on Sunday, October 1, in the most lethal mass shooting in modern U.S. history. While there is no evidence at this point that Paddock was using prescription drugs of any kind, the Star Trek actress defended her remarks after facing backlash. “Did you really just say that? Sit down. 58 people are dead,” Florida-based ABC reporter Derek Shore told Alley. 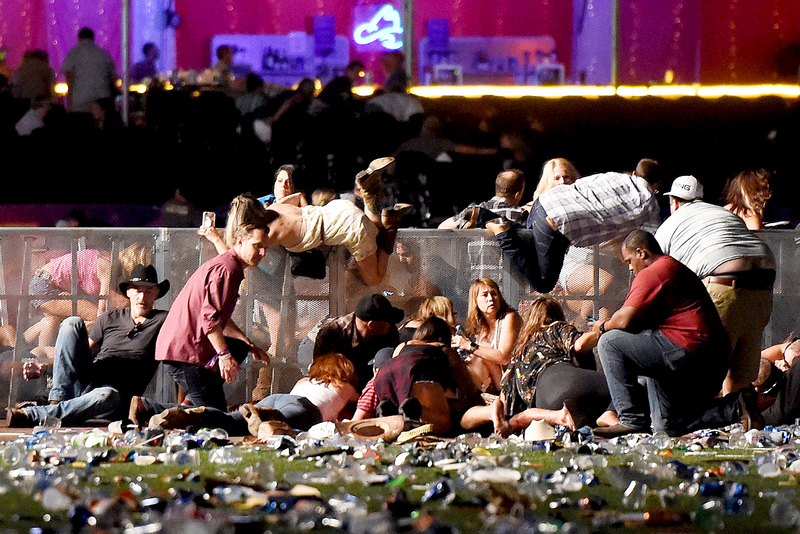 As previously reported, law enforcement believe that Paddock claimed his own life shortly after opening fire on a crowd of 22,000 concert attendees from the 32nd floor of the Mandalay Bay Resort and Casino. President Donald Trump expressed his condolences on Monday and announced during a press conference that he will visit Las Vegas on Wednesday, October 4, to meet with victims, their families and first responders. People trying to locate missing loved ones are advised to call 1-866-535-5654.